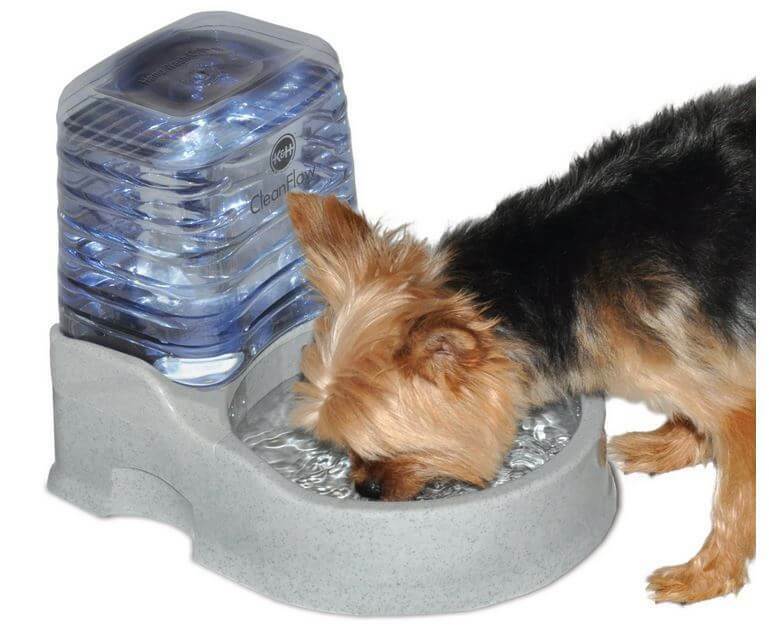 While there are a wide range of water fountains and water bowls for your cat available on the market right now, many of them may not hold the amount of water you are looking for. If you own several cats, then you may want something that is able to provide them with a constant stream of water without having to compromise on their health or the quality of the water. The K&H CleanFlow Water Filter with Reservoir could well be the right water filter for you and your cat. But how can you be sure if it’s right for you? We will take a look at the upsides and downsides to owning this water filter and we’ll also attempt to answer some questions you may have about the product. Available In Several Sizes: If you have several kittens, then finding the right water filter for them can be a very difficult task indeed. While you do want something that is able to hold a large volume of water, most of the water filters and water bowls that are able to do this tend to be too large for kittens to use properly. This water filter however is available in three different sizes from small, to medium and large. This means that you will be able to buy the right sized water filter for you and your cats without having to compromise on the amount of water that they are able to hold. Encourages Cats To Drink Water: One of the concerns that many people have when they are buying cat filters or water fountains is that the overall design will not appealing to the cat and they will not want to drink out of it. 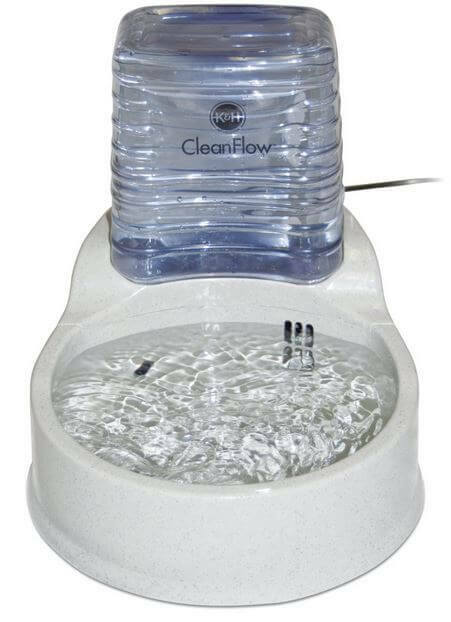 This is something that K&H took into consideration, which is why their CleanFlow Water Filter with Reservoir is designed to look appealing to cats so then they feel comfortable having a drink. 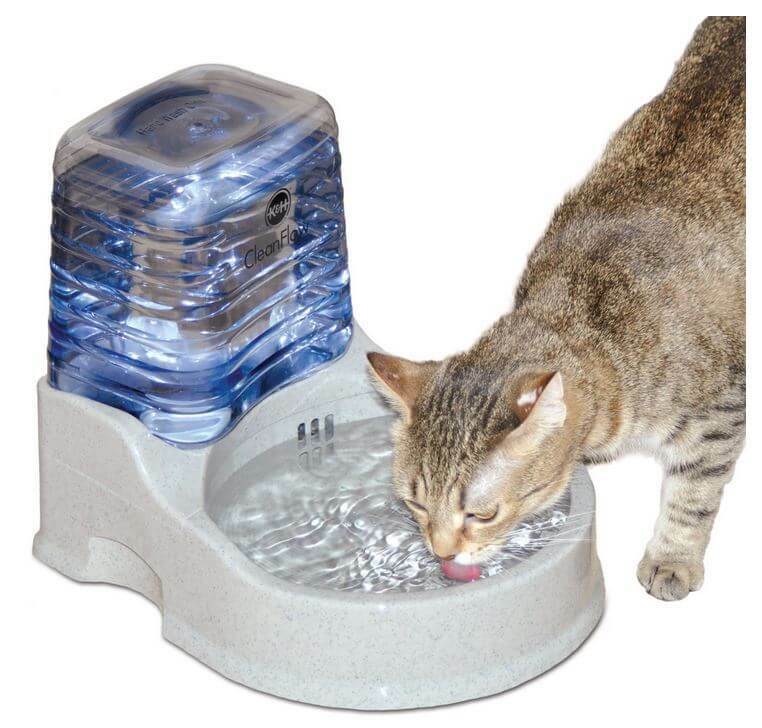 This is naturally a very good feature of this water filter, considering that it will encourage cats to drink healthier and cleaner water more often. Easy To Clean: If you were to just look at the water filter and take it on face value, you would naturally assume that it would be a very difficult to clean. This actually could not be further from the case. The actual bowl itself is able to come clean very easily and it can be placed in the dishwasher along with the rest of the washing up. The actual reservoir itself can also be cleaned by hand rather easily, so it should not be an issue for anyone who owns it. Cap Can Be Faulty: When you first use this water filter, you need to make sure that the cap on the reservoir looks to be secure and functioning properly. There have been a few customer complaints that the cap can give way at any moment and when it does it can result in the entire contents of the water filter and reservoir being dumped onto the floor. If this does happen to you, then you will need to get in touch with K&H so they can send you out a new cap as soon as possible. Otherwise, it is best to keep an eye on the cap and make sure that it is secure at all times. Filter Can Get Clogged Up: Depending on how often you clean the water filter, you may find that it can get easily clogged up with cat hair. This naturally will be an even bigger problem if you have several adult cats or kittens. This is something that can happen even if you are cleaning the water filter properly once a week, but this is something that only happens in rare instances. If you are able to keep on top of cleaning it and make sure that it is completely clean at least once a week, then the water filter should work properly all the time. Pump Can Be Unreliable: Because the water filter is having to deal with a lot of water being held in the reservoir, this can lead to the pump being used a lot on a daily basis. This will be particularly true if you have several cats that all want to get a drink at the same time. If that is the case, then you will need to make sure that the pump is working properly and is kept clean as often as possible, otherwise you run the risk of the pump burning out within a few months. This is naturally not a position you want to be in, so it’s best to keep a close on the pump to make sure it is clean and working properly. You may be able to hear a very gentle hum if you are close to the water filter, but other than that you should not be able to hear it making a sound at all. Yes, you can get a replacement pump if you need one. You can either get in touch with K&H and ask them to send you one, or you can go to a local pet shop and get a pump that would be used in fish tanks. In most cases, if you can smell something then it is because the tube has become a little clogged. This is something that can happen easily, but it can also be cleaned and fixed easily. This water filter uses electricity, so you need to make sure that it is kept near a plug socket. This is normally because the flow of the water scares them. Turn the flow down a little and they should be more comfortable having a drink. 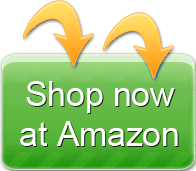 If you are looking for a reliable water filter that is able to hold plenty of water, then this should be considered a definite purchase. This water filter is able to keep several cats happy at the same time, making it more than ideal for homes with several cats or kittens.